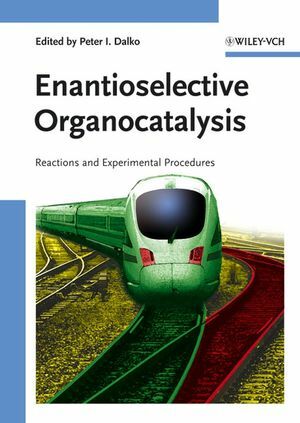 In this reference leaders at the forefront of research provide an insight into one of the hottest topics in organic synthesis, focusing on the most important enantioselective reactions. Clearly structured, each entry begins with a concise introduction, including a mechanistic discussion of the reaction, followed by preparative guidelines for newcomers, such as carefully selected working procedures with critical notes for bench chemists, rules of thumb and tips and tricks. Peter I. Dalko was born in 1960 in Budapest (Hungary). He studied chemistry at the Budapest TechnicalUniversity (Hungary) and obtained his doctorate with Dr. S. D. Géro in Gif-sur-Yvette (France). After undertaking postdoctoralresearch with Sir Derek H. Barton at Texas A&M University (USA) and Prof. Yoshito Kishi at Harvard University he joined Prof. Janine Cossy's research group at the ESPCI in Paris. His current main research interest is the development of novel asymmetric reactions. "...In conclusion, this multi-author work is highly recommended to all organic chemists, whether in indutry or academia."